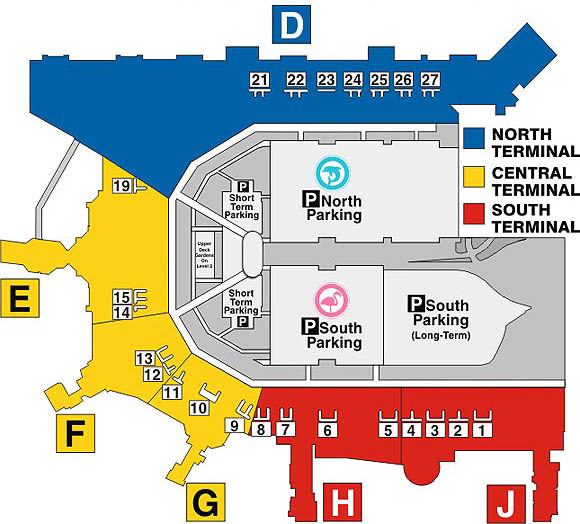 Located throughout terminals D, E, H and J, including the main counter at Central Terminal E, Level 2, near the airport's hotel. Open daily from 6 a.m. - 10 p.m.
For additional information, call 305-876-7000. 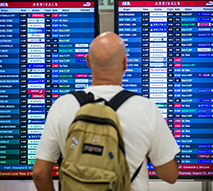 Provides multilingual paging throughout MIA's terminal and concourses. To request a page, simply pick up any of the white courtesy phones located throughout the terminal. Paging service is available 24 hours a day, 7 days a week. 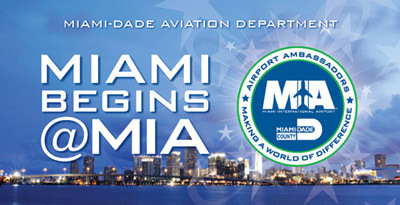 At MIA we are dedicated to providing a great experience for all our passengers. Traveling can be stressful, so we offer helpful services in order to ease the journey. 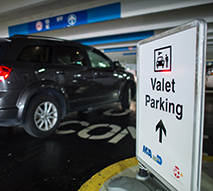 For more information on accessibility click here. Did someone make a difference in your travel experience? The Reward & Recognition Program was established to enhance unit morale, recognize and reward airport employees who provide exemplary service to MIA’s passengers. 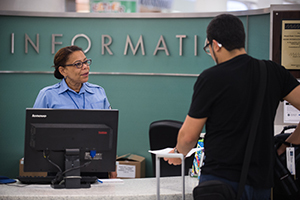 If any airport employee went above and beyond their call of duty to assist you or anyone you know, you can nominate them for exceptional customer service through MIA's Reward & Recognition (R&R) program. 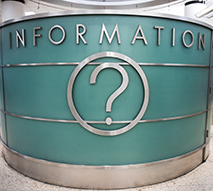 The Ambassador Information Program's mission is to provide information and assistance to the traveling public. 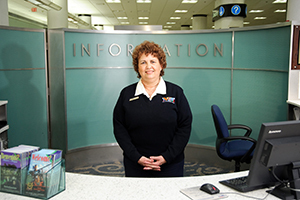 Volunteer Customer Service representatives circulate throughout the terminal, seeking out passengers in need of assistance. You can play a vital role in welcoming visitors to Greater Miami and the beaches as a Volunteer Ambassador. 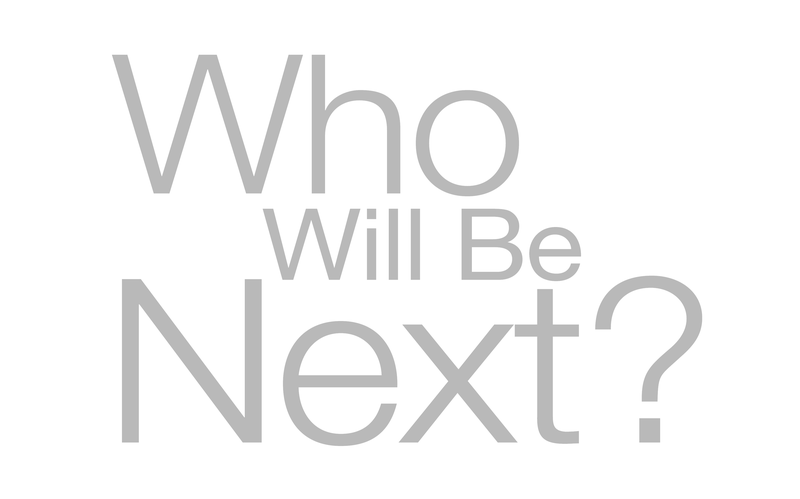 For more information, call 305-869-1859 or email us. Miami International Airport’s therapy dog program, the Miami Hound Machine, features volunteer K-9 ambassadors and their owners who spread love, warmth and assistance to travelers. The Miami Hound Machine, all certified by the Alliance of Therapy Dogs with at least six months of experience, volunteer their time to de-stress and comfort passengers during peak travel times from Thursday to Monday in the busiest areas of the airport. 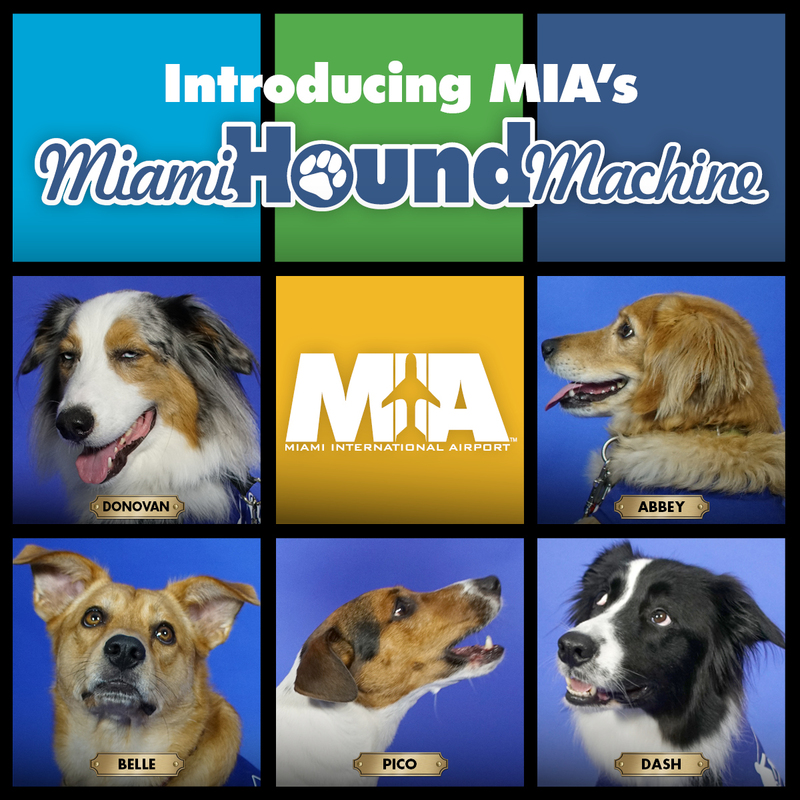 Miami Hound Machine appearance times and locations will be shared via MIA’s social media accounts with the hashtag #MIAmiHoundMachine. 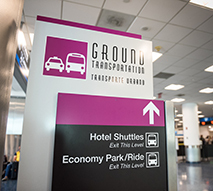 The Miami Hound Machine joins other recent customer service enhancements at MIA, including a pre-security yoga room, indoor pet relief areas, and the MIAmamas nursing suites, with the goal to make travel easier for passengers. For more information, contact that Volunteer Ambassador Program at 305-869-1859 or email us. 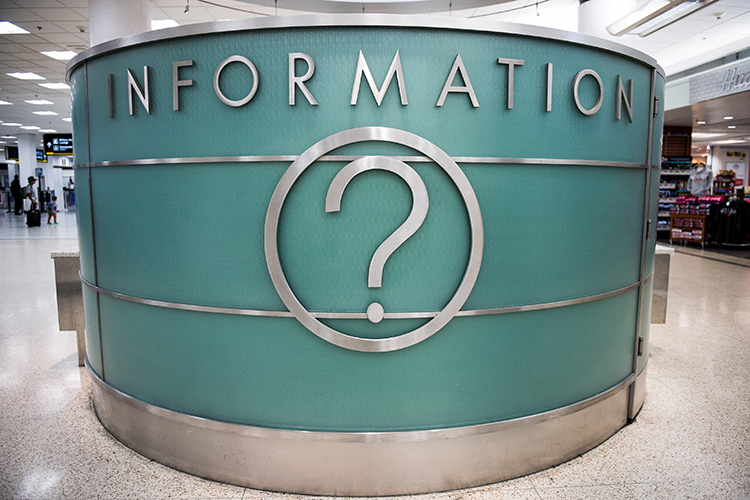 Connect with an MIA employee instantly who can provide information, assistance and airport-wide paging announcements 24 hours a day, 7 days a week using our white courtesy phones located on columns throughout the terminals.